You could also choose to do a mixture of both if you have multiple schemes. 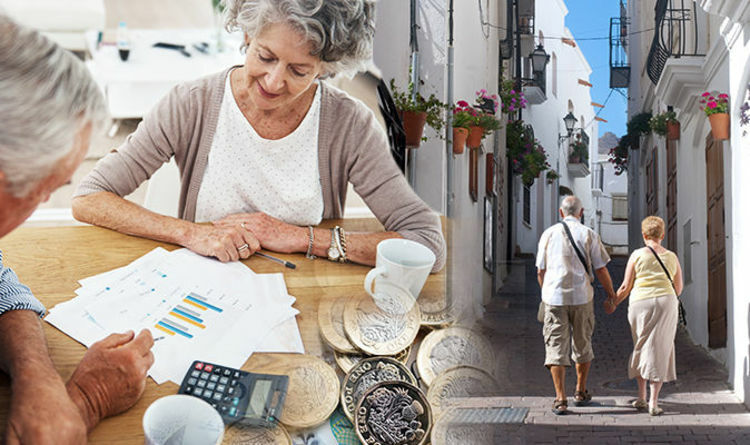 As of September 2014, there were 1.24 million people receiving a state pension outside Britain, with Spain topping a recent poll of the nation’s favourite retirement destinations. This was followed by France and Portugal, with the USA coming in at seventh and Australia at ninth place. If you are moving to a country with a ‘reciprocal social security agreements’ in place with the UK, your State Pension will increase each year in the same way as retirees living in the UK. These include countries in the EU among others. However, countries including Australia, Canada and New Zealand do not currently have these arrangements in place, meaning your pension will not see an increase in line with UK standards. It is important to tell HM Revenue and Customs if you are planning on retiring abroad so you are paying the right level of tax on your pension. You must also make sure you transfer the money into a qualifying recognised overseas pensions scheme (QROPS), or your UK pension provider may refuse the transfer. You could find yourself having to pay 40 percent tax on the transfer. But are you better off leaving your pension at home, or moving your money overseas? Mr Tulley explained one of the positives is being able to manage your money in the local currency and avoiding fluctuations if you are still earning. Your pension income may also be subject to local tax laws which could be more favourable than the UK, but Mr Tully warned against moving abroad purely for tax avoidance. A 25 percent tax charge on qualifying pension transfers was introduced by Chancellor Philip Hammond in the March 2017 Budget. It was implemented to deter those seeking to transfer their pension to a different country from where they are, or will be, residing, with the aim of paying less tax. Transferring overseas tax-free will still be possible if the retiree and pot are in the same country, both are within the European Economic Area, or the scheme they transfer into is run by their employer. Mr Tully said: “HMRC takes a less than positive view on people looking to transfer their pensions for tax avoidance reasons, and you will need to provide clear evidence to show you are moving abroad permanently. In terms of the negatives of moving your money to another country, you might find yourself being unable to take any tax-free cash due to differences in local laws – with Mr Tully warning of retirees being stung by higher charges. The number of pension transfers to QROPS have dramatically fallen over the years, after peaking in 2014/2015 with 20,100 transfers valued at £1.76 billion, according to HMRC. This has reduced substantially over the years, falling to 9,700 transfers worth £1.22 billion in 2016/2017. For the last tax year, these numbers dropped by more than half to 4,700 transfers worth £740 million. The best advice is to think hard and seek help from specialist advisers working in pensions who can guide you through the process, according to Mr Tully. It is also important to remain street-smart when considering your future savings, with many falling victim to transferring their pension pots to fraudsters. Mr Tully explained the warning signs to watch out for. The government states: “You can claim the new State Pension overseas in most countries. Check out the GOV.UK website list of ROPS and QROPS for more information on transferring your pension pot.